It’s still snowing here in Iceland while the stores are putting spring clothing in the windows. That’s lame because it’s still -3°C here. This is no special recipe just me with my citrus in my kitchen. 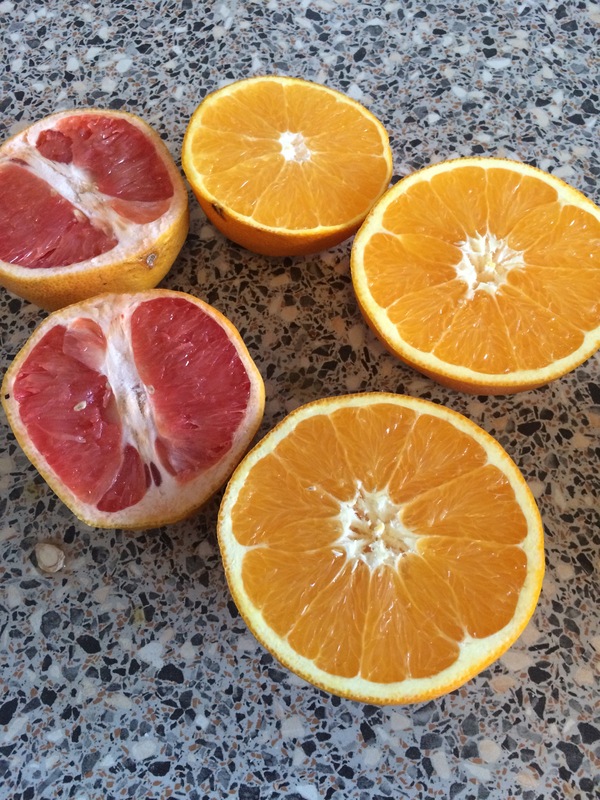 I used one blood orange and two regular oranges. 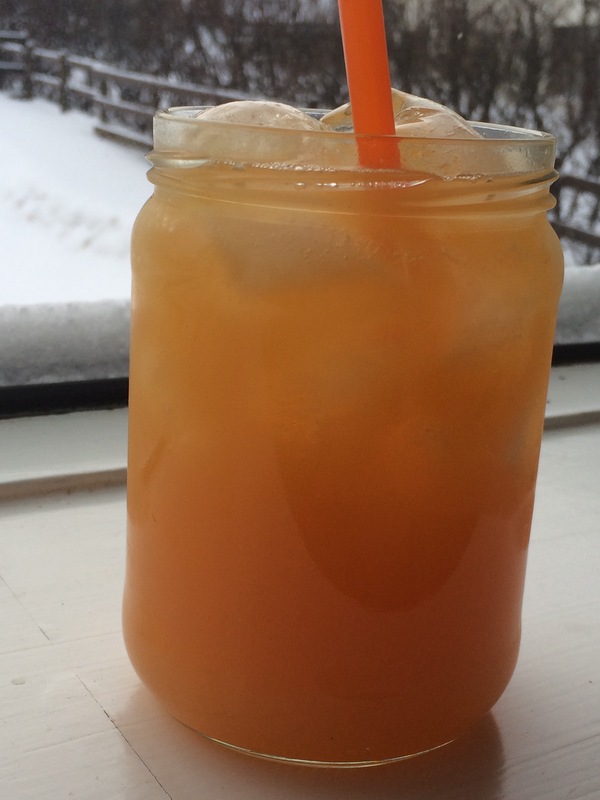 I filled a 500 ml jar with ice and poured my juice in. It was actually just the right size for 3 oranges. 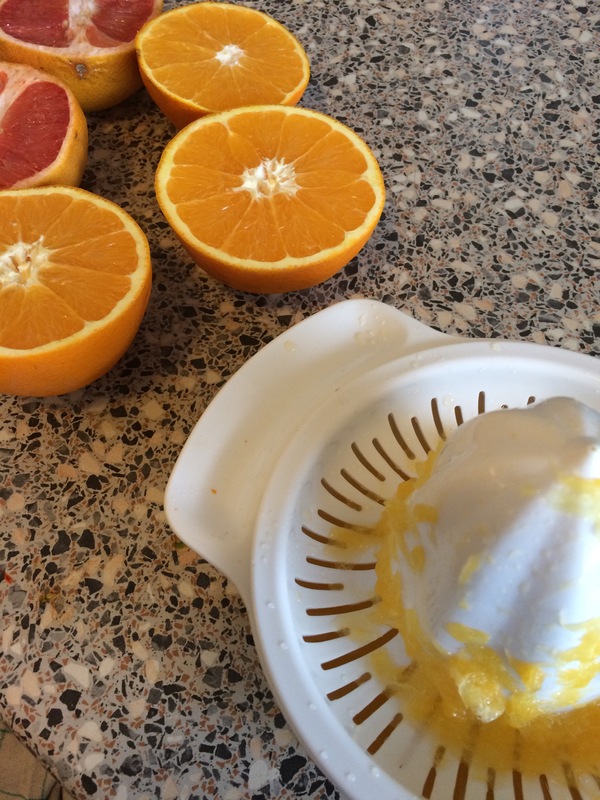 But you will of course need some citrus juicer or just your hands to squeeze out the juice. I used some cheap plastic citrus juicething. It worked fine. It was so refreshing and great pick me up in the snow. Now I would love to go shopping for spring clothing. Well I guess that will not do me any good, because I can’t use it for another 2 months or so. But I really hope you try this if you need a pick me up in your day.